"I feel a bit like Jonah — only instead of a great gourd, I have found a gnarly old poplar to shade me from the scorching noon-high sun while I scribble a few lines. From the citadel of Erbil, I have a commanding view of the plains of Nineveh, which in some ways seems to have changed little since Jonah dragged his briny sandals through here on his way to a late appointment in nearby Nineveh...."
"You Probably Don't Even Know His Name"
Justin Taylor's post includes the release of Frontline's latest video entitled Dispatches: Prologue. 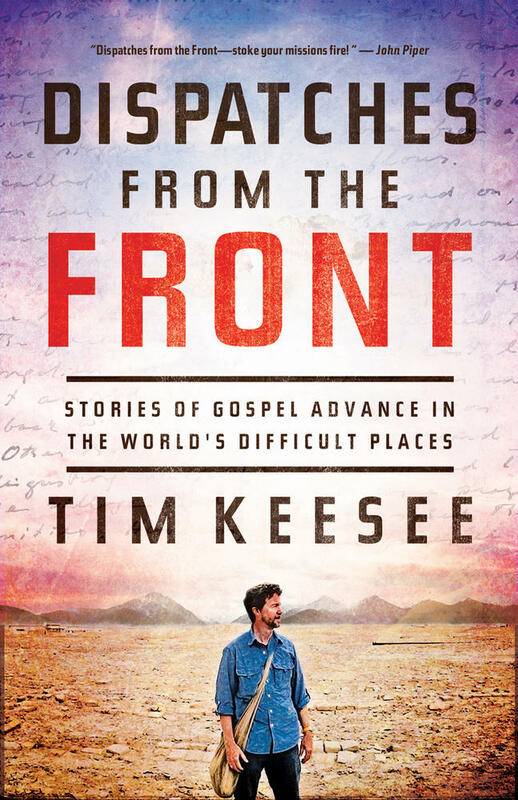 This short film goes back to Tim Keesee's hometown to tell the back story of the DVD series and the book, Dispatches from the Front: Stories of Gospel Advance in the World's Difficult Places. 00:13 – What was the impetus for the book? 01:25 – How did you first get involved in world missions? 03:15 – What are one or two experiences that have shaped you as a Christian? 05:31 – What are some of the myths related to missions that you’ve encountered? 08:04 – What are you asking the Lord to do through this book? Learn more about the book and download an excerpt. Over two billion people in the world have no access to the Gospel—no Bible, no church, no Christians, no hope. Since many of them live in countries closed to traditional missionaries, how will they hear the Good News? One way is that Christ is calling and equipping men and women with skills—professionals—to use their talents to reach people who are hard to get to. The Power of His Rising is an inside look at how this is unfolding in South Asia, where baristas and bakers, pilots and farmers are a force for the Gospel! It’s an amazing journey by land, sea and air—down crowded streets and remote rivers—to find light shining in darkness and persecuted believers singing because of Jesus! Dispatches from the Front opens yet another window to see Christ at work in the world through His endless life and relentless grace! 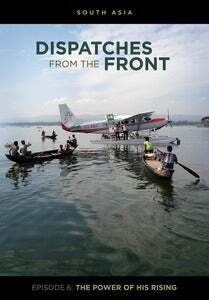 The 6th episode of the Dispatches from the Front series, set in South Asia, premieres this weekend! DVDs are available for purchase HERE beginning at 5 pm TODAY (Friday, April 19, 2013) at a special introductory rate of $10 (+S/H) from now through June 15th! Special Features include a PDF Study Guide as well as an Image Gallery and the song "The Power of His Rising" (MP3, chords and piano sheet music).